Last week the TECHNOLOGY workshop took place and Hamar response was even better than expected. 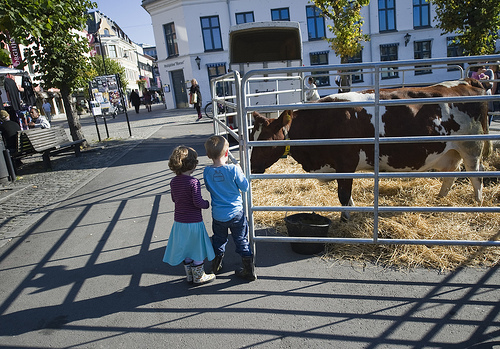 We also had a workshop with students from Bergen School of Architecture, who resulted in a free lunch on Stortorget – with a cow as special guest! 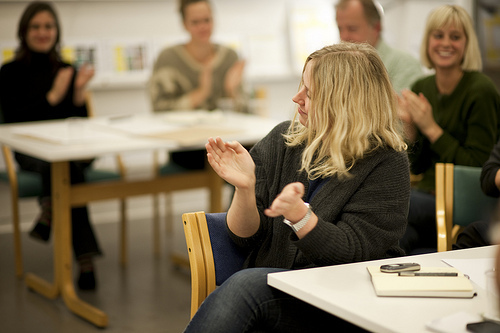 On today’s Hamar Experience 11 Belinda Tato will share pictures and anecdotes from the workshop and the free lunch. And of course, because Hamar is the star of dreamhamar, Belinda will share the spotlight with a citizen who participated on TECHNOLOGY workshop – Morten Fridstrøm. He will tell us about his experience and if the workshop was everything he expected! HAMAR EXPERIENCE 10 | TECHNOLOGY WORKSHOP STARTS TOMORROW!! This is going to be a very interesting week in Hamar. TECHNOLOGY workshop begins tomorrow, Sept. 27th, at 18h at the Physical LAB, with media expert Bjarte Ytre-Arne as community activator. The workshop will continue on Wednesday 28th, with blogger Juan Freire. TECHNOLOGY ends on Thursday 29th with a lecture and a round table with Bjarte Ytre-Arne and Juan Freire from 19 to 21h. You can still register for the workshops (dreamhamar@gmail.com) or just show up at the lecture on the 29th. You are all invited to participate, share your ideas and meet other people interested in the future of Stortorget Square. Belinda Tato will talk about this and other subjects on today’s Hamar Experience. Remember, you’ve got a date at 18h with Hamar Experience 10! During the 5th social responsibility forum in Madrid organized by Net Impact and IE, I had the occasion to listen to a talk by Ashoka fellow Rodrigo Baggio, a devoted social entrepreneur and the founder of CDI – Committee for Democracy in Information Technology, a non-profit organization promoting social inclusion by using Information and Communication Technologies (ICT) as a tool for building active citizenship. Post-ownership living may be closer than we think. We see the evidence all around us, in the form of innovations from community kitchens to emerging mobility solutions. So, if people are recognizing the practical potential in social solutions, why aren’t even more models for collaboration, sharing and product-service systems thriving? According to architect Stephanie Smith, spurring the movement may be a simple matter of providing the tech support. Selection of a maximum of 10 projects to be collaboratively developed.